Originally from northern Iowa, I hold a Master of Arts in Marriage and Family Therapy from Bethel Theological Seminary in St. Paul, MN. After meeting and marrying my North Dakotan husband, he talked me into moving north once again, and we currently reside in western Minnesota with our two young children. I believe that Jesus is the ultimate and only true source of healing, that He can take us from the lowest low and impart His love, forgiveness, and grace into our lives so that we can live with the peace that passes all understanding. The Holy Spirit is my guide in counseling and I focus on the heart, as I believe personal and interpersonal struggles are based on the condition of our hearts. Is the heart broken? Hopeless? Bitter? Angry? Fearful? These, and others, are the roots of depression, marital struggle, infidelity, and broken relationships. At the core of my therapeutic approach are these profound truths and they impact everything I do and how I interact with clients. Areas of Interest: Women and couples experiencing infertility, post-partum depression, abortion recovery, codependency, divorce recovery, grief, anger, communication skills, anxiety, depression, premarital, marital. Works with individuals 18+ years, couples, families. Trained in spiritual direction under Larry Crabb. Education & Experience: Master of Arts in Marriage and Family Therapy – Bethel Theological Seminary, St. Paul, MN. 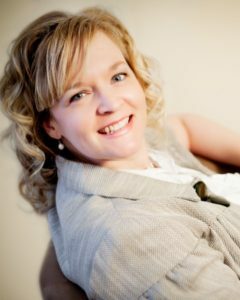 Licensed Marriage and Family Therapist in the State of Minnesota and the State of North Dakota. Heather is also available to speak at your event. Please contact VCCC for more information and fee schedule. "If we find ourselves with desire that nothing in this world can satisfy, then the probable explanation is that we were made for another world." "Looking bad in the presence of love releases our true identity"